Maintenance Mode is a term you use when you need to take your regular site offline to perform software of content updates. People use maintenance mode to update their websites, make some structural changes or change the appearance. 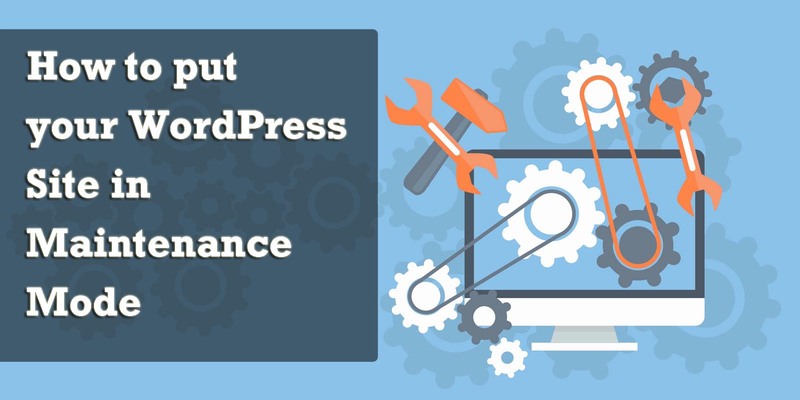 It may take a few hours or even a day to completely implement the changes that is why developers use WordPress maintenance mode. WordPress Maintenance mode allows the users to keep working on their websites while the visitors can have a look at the screen which says that the website is under construction or under maintenance. Popular sites use maintenance mode page to improve user experience because no one likes to visit and browse a broken site or link. On the other hand, new websites use maintenance mode as a “coming soon page”. Maintenance Mode by SeedProd is one of the leading and best WordPress Maintenance mode It’s a completely responsive WordPress plugin which is created with HTML5 and CSS3 code to make it a high performing tool for this purpose and displays the maintenance mode page on mobile devices as well. 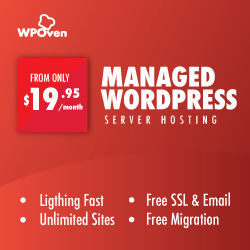 This plugin can also be used as multisite setup. This highly easy to use plugin has some more exciting features in its pro version. Ultimate Maintenance Mode WordPress plugin is a superb maintenance mode plugin for WordPress websites. It helps to show non-logged in users a static maintenance mode page. This plugin automatically takes a screenshot and displays it as a background of the maintenance mode page to help users and visitors get a glimpse of the website. This plugin also allows to add a custom message, headline and background image as per the user’s requirements. Overall, it’s a very useful plugin while you are editing your site. Site Offline or Coming Soon plugin is a high-end WordPress maintenance mode coming soon plugin. When you enable the maintenance mode, a general user will see the splash page with your message whereas the admin of the site will see the actual page to do the changes as required. It offers you a number of features to take advantage of the incoming traffic while your site is in maintenance mode, you can set the email subscription form, put links to your social profiles and customize the look of your website and feel as well as the message on the page. The email subscription helps you to inform the users when the website is done with maintenance and ready to go live. It is very easy to create a great looking maintenance mode page to let your visitors know your site is undergoing maintenance using Easy Pie Maintenance mode plugin for any WordPress website. Easy Pie maintenance mode basic features are 4 professionally-designed, responsive mini-themes and pre-styled text. And you can also add your own logo. Plus you can add your own custom CSS as well. This plugin gives you complete liberty to serve all your maintenance mode needs. Curtain is a new best WordPress maintenance mode plugin which is designed to meet your requirements without any hassle. It is also free to download and install. You just have to enable the plugin and your visitors will see a notice about the maintenance mode and also a small notice about the reason of the website being in maintenance mode. You can change the default look of the page and edit the text and background. The Curtain plugin is optimized for the highest performance and it works perfectly on mobile devices as well. These are some of the finest, best and simplest plugins for WordPress maintenance mode. There are also some other plugins available for the same purpose but the effectiveness of these plugins is beyond amazing and unexplainable. These plugins have the power to put your site under maintenance mode without causing any disruptions or problems. This will also give your users a nice experience and will not show any broken link. very informative post and thanks for the plugin suggestion. All of the above suggestion are good and useful. As its an important factor for many website owners, I also had created an article on this matter.